Sometimes, these players come from smaller or lesser-known programs. Sometimes the player just wasn't as productive as some of his highly-touted contemporaries—or has "first round talent," but fell down the draft board for whatever the reason. 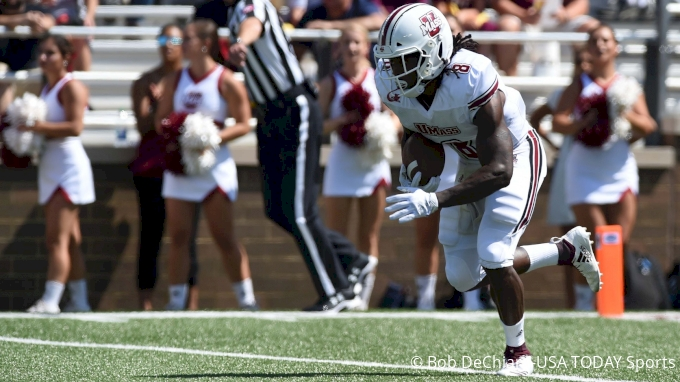 The 2019 NFL Draft isn’t any different, especially when it comes to the running back position. Backs in today’s game are required to have multifaceted skills. 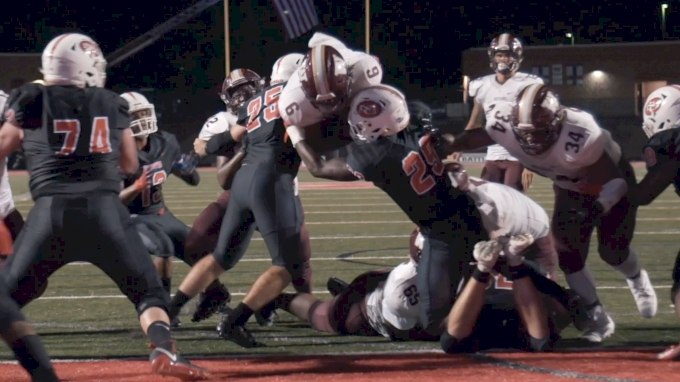 Whether it’s being a threat in the downfield passing game or having the ability to elude and evade defenders—while also being able to hit the home run—the asks of a running back never stop. If the name sounds familiar, that’s because the 6-2 225-pound tailback toted the rock for the Texas Tech Red Raiders back in 2017. He’s the type of back that the late, great Spike Dykes would’ve loved to feed the ball to 25-30 times a game. While in Lubbock, Nisby served in a short yardage/goal line role for the Tech offense, and served in that role really well. In his only season with the Red Raiders, he scored seven rushing touchdowns. In hopes of becoming more than just a power back, Nisby transferred to tiny Texas Wesleyan in Fort Worth, where the Rams were entering their second season since reviving a football program that had been dormant since 1941. The gamble paid off for Nisby, Texas Wesleyan head coach Joe Prud’homme and the Rams football team as Nisby put out some fantastic tape this year, transforming himself into a pro prospect in the process. For a bigger back, Nisby has surprisingly good footwork. His feet stay busy, which allows him to change direction really well. It doesn’t take many steps for him to get to the backside on a play. His vision as a runner is a very underrated part of his game, and he’s a physically imposing back that knows he’s physically imposing, which helps him break a lot of tackles. He dropped 20 pounds after transferring from Texas Tech, got into great shape and added much more burst and agility to his game. He’s got great upside to his game, takes pride in his craft and has good value as an RB2. Nisby is a diamond in the rough from a fairly new program that has the game to make an impact at the next level. We live in the era of short memory. It’s a what-have-you-done-for-me-lately society. I feel like that aptly describes the career of Georgia Southern running back Wesley Fields. We all sat there and watched the Georgia Southern Eagles, participating in their first ever bowl game, in only their second year of being an FBS program, running up-and-down the field against Bowling Green. It was in that game that Fields, a freshman, finished with nine carries for 75 yards and a touchdown, earning offensive MVP honors for the game. Fields was also named to the Sun Belt Conference All-Newcomer Team that season, having rushed for over 680 yards and seven touchdowns, at a clip of 6.8 yards per carry. But that’s where things started to get a bit frustrating for the talented back out of Americus, Ga. The next two seasons Fields dealt with an ankle injury, which limited him in 2016, and a preseason shoulder injury that caused him to miss the spring in 2017, but still was able to make honorable mention All-Sun Belt that season. Entering the 2018 season, all was quiet about the senior tailback, even though he was the healthiest he'd been since his freshman campaign. The nation missed out on what was a spectacular season as Fields went on to become the first back in the illustrious history of Georgia Southern to lead the team in both rushing and receiving in the same season, finishing with over 1,000 yards on the ground and over 230 yards receiving—and once again earning All-Sun Belt honors. Jerick McKinnon, Matt Breida, and now, Wesley Fields. Blessed with hammerhead shark periphery, Fields is able to consistently see the field well, frontside-to-backside. That’s a pretty rare trait to have coming out of a triple-option offense where you are usually dealing with clearly defined lanes as a runner. From an elusiveness perspective, Fields has great lateral burst and ‘springs’, showing the ability to score from anywhere on the field, threatening—or flat out abusing—pursuit angles in the process. He has above average acceleration and explosiveness, and runs with a great deal of patience and balance. Although opportunities in the passing game were limited, he showed enough there to where you feel comfortable with his game in that capacity. Fields is a slasher that could be very effective in a zone-blocking scheme. Considering the recent success of guys like Jerick McKinnon and Matt Breida, I think it’s safe to say that, if given the opportunity, Wesley Fields also has a chance to succeed in the NFL. The old saying goes, ‘If it wasn’t for bad luck, I’d have no luck at all.’ If you were to tell me that this quote came from Oklahoma Sooners tailback Rodney Anderson I’d believe you. The Katy, Texas-native’s career got off to a snake-bitten start back in 2015, as he played in two games before going down with an injury. He followed that up by suffering a season-ending injury in fall camp, causing him to miss the entire 2016 season. In 2017, we finally got to see what Anderson is all about as a football player, as he put together a fine seasons for the Sooners, rushing for over 1,100 yards (6.2 YPC) and scored 13 touchdowns. We also got a chance to see him perform at his best in the biggest of game, as Anderson rushed for 201 yards and two touchdowns on 26 carries in Oklahoma's Rose Bowl loss to Georgia in the College Football Playoff. Anderson was a Heisman Trophy candidate entering 2018 before going down with a season-ending injury in the opening game of the year. He declared for the NFL Draft shortly after—and who could blame him? Watching his career play out as it did reminded me of another former running back with talent similar to Anderson's: Robert Smith. During Smith’s career with the Minnesota Vikings, he battled through a bevy of nagging injuries during the better part of his career before finding his healthy stride, ending his eight-year career with four straight 1,000-yard seasons. To me, Anderson is a very similar player that, if healthy, can enjoy the same start to his career in the way Robert Smith finished his. The fluidity in which Anderson runs is comparable to a great jazz album ... the combination of instruments and sound flow together to make the experience an auditory masterpiece. You get that same feeling watching Anderson weave his way through a defense en route to a long touchdown scamper. He has top-notch acceleration and the type of build-up speed, which allows him to out-run angles and finish off the run with a touchdown. Despite being a taller back, he runs with good pad level, which allows him the ability to make would-be defenders miss and change direction with ease. He’s also a three-down player, showing proficiency in pass pro and receiving ability. He has all of the traits of an RB1, you just hope that the injury concerns are a thing of the past. While Anderson definitely has first round talent, he’ll probably end up getting selected somewhere in the middle rounds. He will start his career as a solid RB2, earning more trust and work as he shows the ability to stay healthy, before growing into a consistent RB1 down the line. Like both Fields and Nisby, despite Anderson's winding road toward the NFL Draft, he has the ability to make a team look smart on draft day.